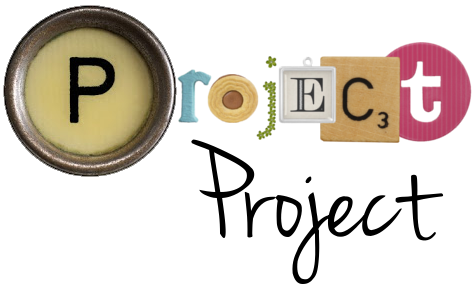 Project Project: Be a Better Blogger Week: "What I've done"
Holy SCHMOLY, that was a lot of work! I spent a large chunk of the evening going through the "What I've done" list of completed projects on the left, and tagging and organizing into lovely clickable links. So now you, my loveliest friend, can go delving through almost two years of Project Project with ease and a song in your heart. Can't you feel the song right now? Actually, it was kind of fun to go back and see what I've been up to since I started this little bloggyness back in the day of 2008. Some of the projects were so fun that I kind of want to go back and do them again, and some are great to have done without me ever feeling the need to go back there again. And now I feel all inspired to get all projecty. In other news, a volcano in Iceland is seriously messing with my life. My parents are supposed to come out for a three week visit on Wednesday, but now it looks like they might be delayed. By volcanic ash. If you can invent some sort of air purifying device to take care of that by Wednesday (at the latest), I'd be much obliged. Also, Espen had his 2 month check-up, and is nothing but long and lovely (24 1/4 inches or 61cm), if a bit on the skinny side (11 lbs or 5 kg). He lights up my life. Stupid Volcano! We are lucky in the NL so far. However, just yesterday Jaspers dad got stuck in another country because planes were grounded! He opted for a 16hour train ride. If it makes you feel better they were expecting it to clear up by today, but I am not sure how far north he was. I will blow some wind your parents way! I hope they get to visit! well done, i cant wait to click on the links! the WHOLE of england is a no fly zone, none going in or out at the moment, its eerily quiet in the skies, i hope your parents get through! Sorry to hear about the delay, but what an interesting story you have now! Flight delays due to volcanic ash! Now your blog is tight like unto a dish! I have a question - in your What I've Done list, you have: "Make something for a charity" with (Nick) in parenthesis. So...uh...does that mean you're going to make Nick do the making of the something, or does that mean that Nick is the charity?